Put four kids and a nanny in the kitchen and what do you get? Chaos and mess! Leave the nanny to finish cooking in the kitchen and let the kids ‘spread out’ into a compact 2 bedroom apartment and then what do you get? An even bigger mess! This was the scene I faced one day this past week. Boss Mum had been working from home and within an hour of attempting to wrestle the kids into a semblance of organised activity (and failing miserably), I decided the best option was to get them out of the house. A quiet environment would help Boss Mum meet her deadline, it would ensure the house stayed clean and tidy and it would do the kids good to have a change of scenery. The only problem with this solution was that it was beyond cold outside. It was raining and due to gale force winds and sever weather warnings, people were advised to stay indoors. So it seemed the only remaining option was to pack the kids into the car and head off down the road to my house! Seeing as they’d all been dying to have a play-date at “the nanny’s house” for a while now, and given I’d left a load of washing in the machine in my rush to get to work that morning, it seemed like a great idea. However, after an unfortunate accident with a glass of milk and a sofa and an explosion in the craft box that saw my carpets “glitter bombed”, I wasn’t sure why I’d thought it was a good idea to let four kids loose into a once neat and tidy 2 bedroom apartment. We did have some fun though. In between fierce games of chess and scrabble, renditions of nursery rhymes on the piano, some serious crafting and a Disney movie, we did manage to get some cooking done. Thanks to my life-saver Thermomix and this Tomato Sausage Pasta recipe from Five Degrees Of Chaos (one of only a handful of things the kids will eat), we got dinner sorted and out-of-the-way. We then used the peaches and strawberries I’d snatched from the crisper on our haste to leave the house to re-work this Kid Friendly Yummy Berry Muffin recipe for a tasty afternoon snack. By this point their attentions spans were waning and I’d been left alone in the kitchen to deal with the mess. As it turns out, and much to my good fortune, this meant I had some free time up my sleeve. So I played with a new recipe I’d had floating around in my ‘food brain’ for a while now. 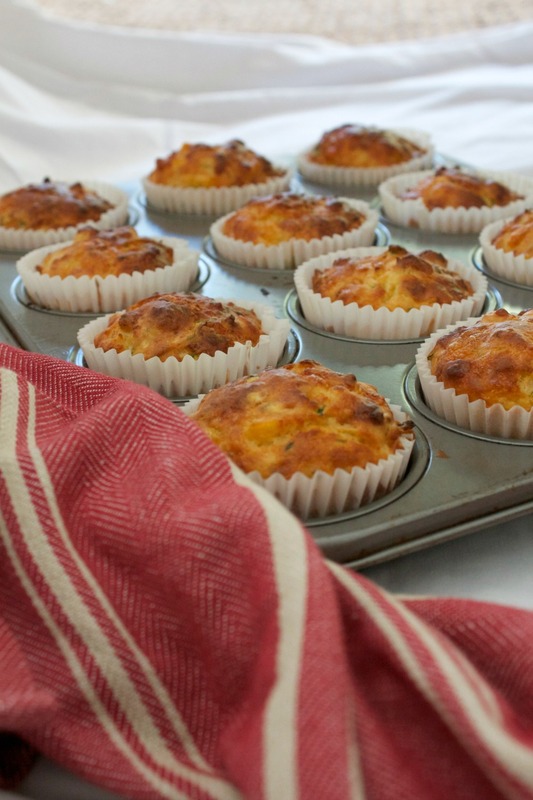 These Savoury Sweet Corn + Cheese Muffins are the result, and despite the younger two kids not being true fans, they were big winners with the rest of us! Preheat oven to 180 degrees celsius and line a 12 hole muffin tray. 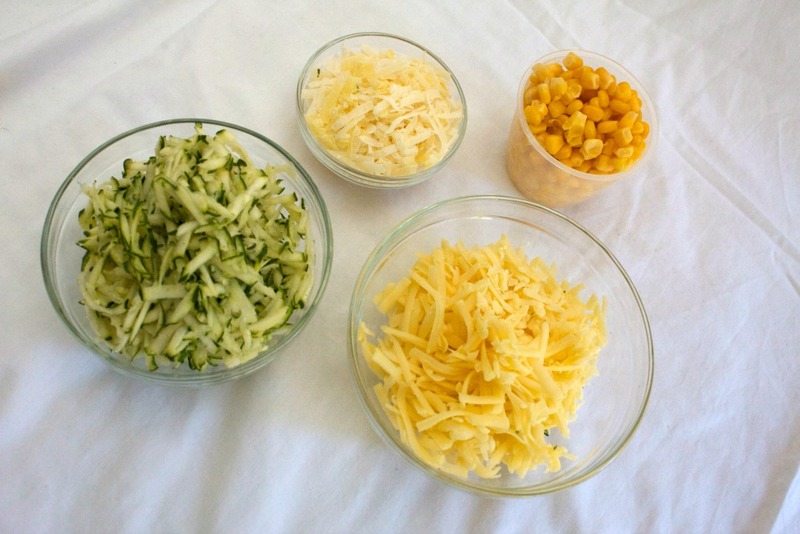 Combine the flour, zucchini, cheese and salt in a large bowl. 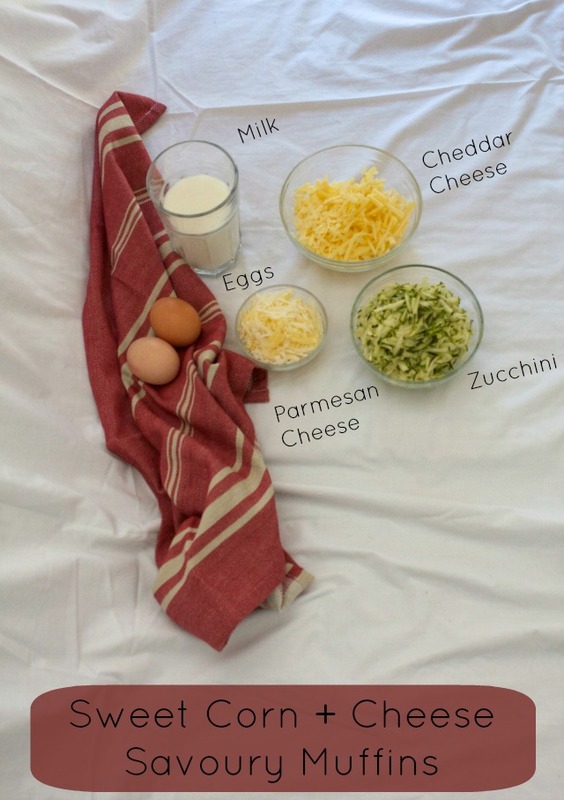 Make a well in the centre and add the oil, eggs and milk. Mix gently to combine. Be careful not to over mix. 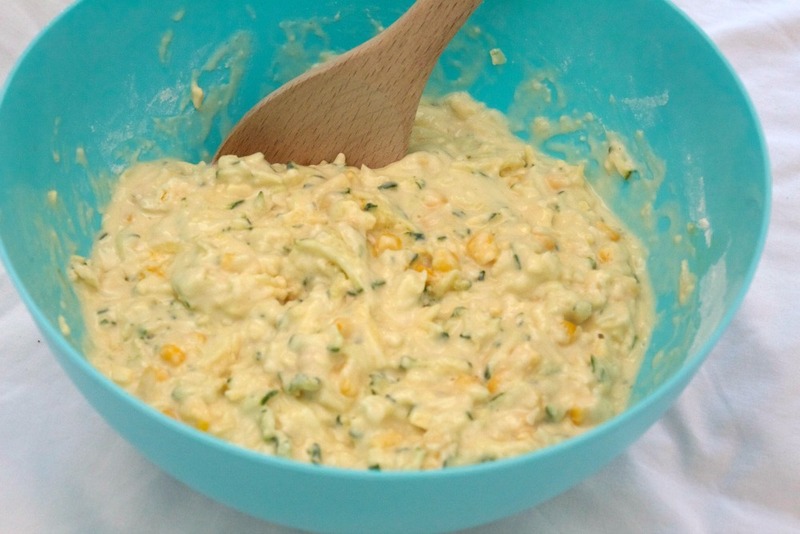 Ladle the mixture into your muffin tin and bake for 20-25 minutes or until cooked and lightly browned. Remove from the oven and allow to cool slightly before turning them out on a wire rack. >>> How do you like your muffins – chocolatey and rich or fruity and light? Savoury muffins – yay or nay? P.S. This post is linking up with Bake Play Smile and Create Bake Make for Fabulous Foodie Fridays! Fantastic Hope! I am going to give these a go for sure! Great, let me know how you go! These look delicious! Thanks for sharing the recipe. They look nutritious to boot – the guilt-free muffin. I do like savoury muffins, but sweet muffins fill a need as well. Muffin Break used to do an oat, bran and date muffin which I really enjoyed, but I haven’t seen it for a long time. Norah Colvin recently posted…Whose story is it anyway? Absolutely Norah, there’s always a need for sweet muffins. I admit that I do love to have a muffin with my coffee for breakfast – it’s a habit I just can’t seem to shake despite knowing that I should be eating something a bit healthier or substantial. The oat bran date muffin sounds yummy – and healthy! Let me know how they go Lauren, I reckon the kids would love them! Hi Robyn, thanks so much for popping in and commenting! Let me know how you go with these, and yes the thermomix has much to answer to – namely saving my sanity in the kitchen! They are really yummy Lucy, the parmesan cheese gives them that edge that savoury muffins really need!